Classroom Helper provides educational programs and study kits to help students succeed in the classroom. We have created an alternative, professional, tangible product to help your kids succeed today. Our content is age-appropriate, affordable, and fun! Our professional-quality tutorial videos are reviewed by teachers with 20+ years of teaching experience. Each video is digitally mastered and professionally recorded. Simply insert the Classroom Helper product into your device and follow along with the tutorial. We also provide some fun exercises on your video so that everyone can join in on the fun! Repeat each segment to reinforce what you have learned until you have mastered each segment. Mix it up, grab a friend or family member, and test your knowledge using the flashcards in your Classroom Helper Study Kit. Whether you’re on vacation, and want to incorporate some learning on the trip, or in the car traveling, our kit is compact and easy to carry on the go. Our tutorial content is aligned with the Common Core standards. 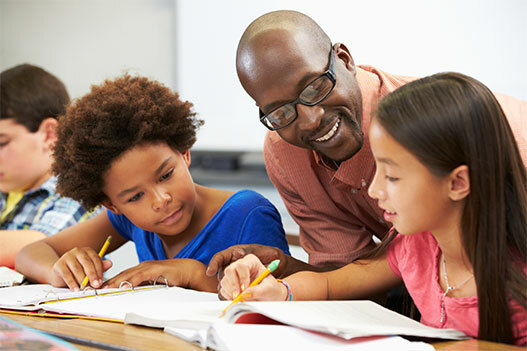 We provide an affordable solution for every parent who wants to see their child succeed in the classroom, every teacher who could use an affordable tool in the classroom, and every tutor program coaching new employees. Tutoring sessions held at one of our current meeting room locations. Math Tutor Study Kits for the previous grade and upcoming grade level. Practice worksheets for the upcoming school year. Personalized assessment results and suggestions for the upcoming school year. We believe in making a difference, and that's what we've set out to do. For this reason, we have a give-back program in place. 5% of net profits in any given year is donated to benefit underprivileged children by providing the funds and educational resources to charities within the U.S. and around the world. Our principle objective is to make a difference with a great product and give back to those less fortunate. Copyright TheClassroomHelper.com - All Rights Reserved.